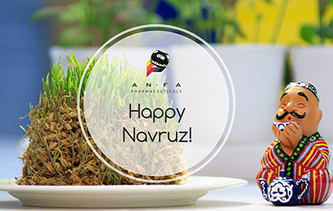 ANFA Pharmaceuticals-Happy Navruz to you all! Happy Navruz to you all! The company “ANFA PHARMACEUTICALS” congratulates all our compatriots, seniors and juniors, on this great Eastern new year holiday! May this holiday bring you good health, happiness, good luck and pleasant moments. We wish that all your dreams come true. May joy, happiness, peace, and prosperity be with you!